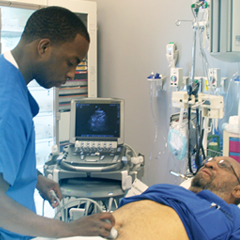 Focused Cardiac Ultrasound (FoCUS) - Advanced Clinical Mod. 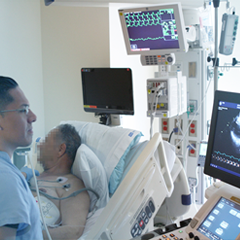 This Focused Cardiac Ultrasound (FoCUS) Part I: Advanced Clinical Module provides an in-depth review of Doppler-mode echocardiography, including M-mode, color-flow, pulsed-wave and continuous-wave Doppler imaging. 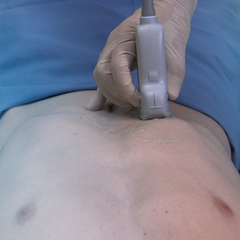 The sonographic techniques used to obtain specific echocardiography image views such as the RVIT, apical 5C, apical 3C, and apical 2C views are described in detail. The use of these views to obtain a variety of parameters including LVOT diameter, VTI, CO, SV, peak RVSP, and peak PASP is explained. Didactic knowledge is assessed with in-module questions and an end-module mastery test. 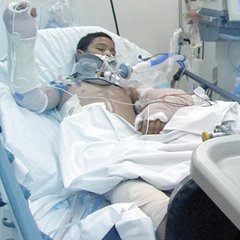 The patented SonoSimulator® will help you develop the requisite hands-on psychomotor skills and cognitive task awareness required to use Doppler-mode echocardiography to assess the heart and obtain useful physiologic data. 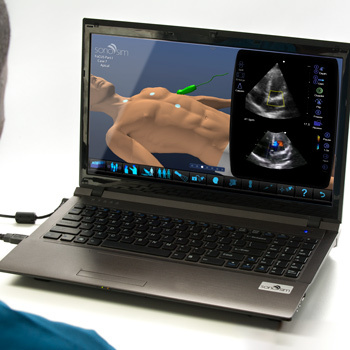 The SonoSimulator® will help you develop and maintain the critical visuomotor and visuospatial skills that are central to performing Doppler-mode echocardiography. 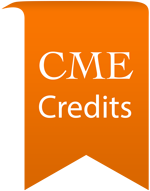 This Focus Part I Advanced Clinical Module provides you the opportunity to virtually scan real-patient ultrasound cases comprising a spectrum of pathologic cardiac cases.